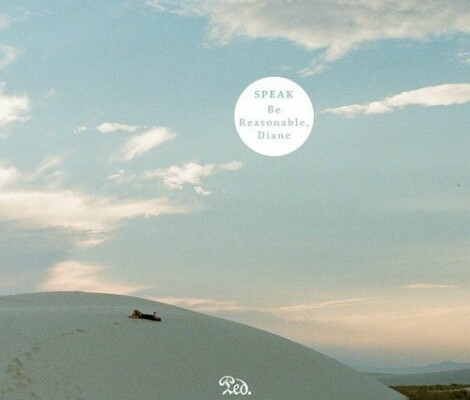 Austin dance-rockers SPEAK put out one of my favorite tracks last year’s “Peaks“. This week sees their first new material in 2014 in the airier tune of “Be Reasonable, Diane“. This band is still talented in writing an addictive hook, but the R&B style has taken a back seat to a freak-folk rhythm and a carefree attitude in guitar licks. There’s a lot going on in “Be Reasonable, Diane”, but not in the way we’re used to from SPEAK. Pieces aren’t piled on top of each other, but are rather elongated so that every melody from verse to bridge has time to breath. As much as SPEAK accomplished with their previous work, it’s refreshing to see them loosen up their ties and create a fun, splashy tune that continues to show off their prowess. Check out “Be Reasonable, Diane” below.